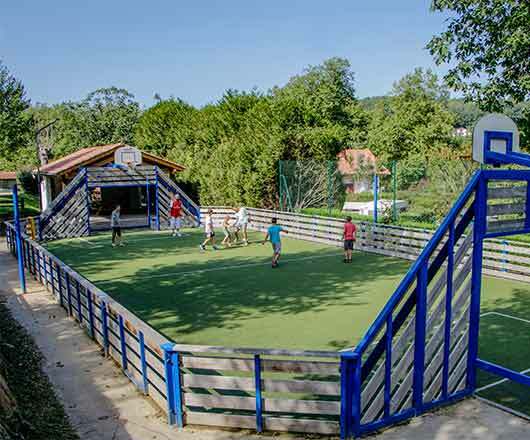 Spend a relaxing holiday in a campsite with various games areas surrounded by nature! 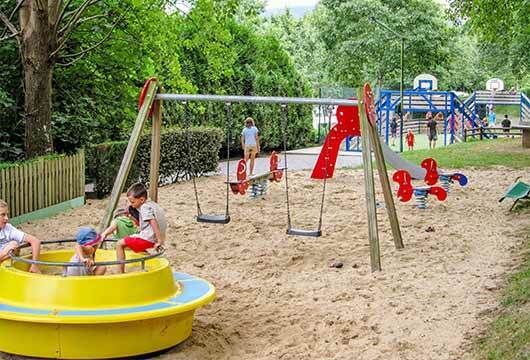 Camping Suhiberry in the Pays Basque is full of small pleasures to enjoy with family or friends! 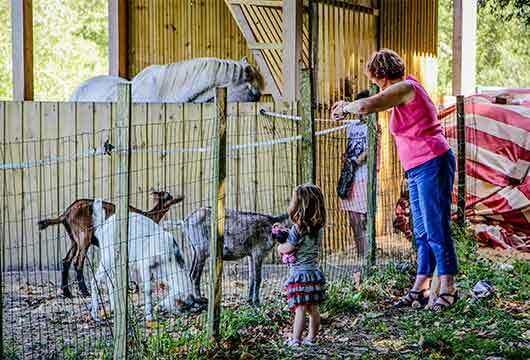 Relaxation – in a natural family campsite. Off to the play area with a big brother or sister to make friends while the parents take a nap! The outdoor play area is a great place for adventures: Roundabout, swings, see-saw, spring rockers and for their first downhill experience, a slide. This varied play area is great for little ones! A bouncy castle has been installed to amuse your children and stimulate their fertile imaginations! Fishing – the river flows along the edge of the campsite. Fishing rods are waiting for you at reception! 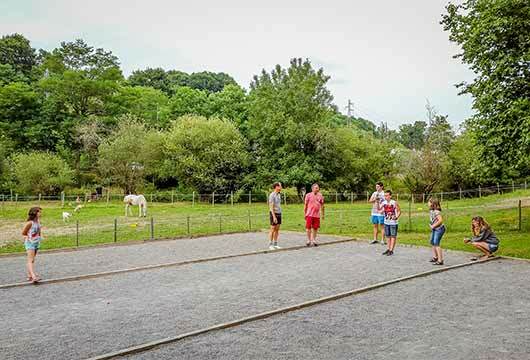 Pétanque – the pitch is in a quite sport very near the animal paddock. This is a perfect way to decide who washes up an who gets a drink – so play well! Music and dancing for all! Come dance and sing – why not in Basque! Sports Amongst all the relaxation, trips and idleness, leave a little time for some sport! It will do you good! 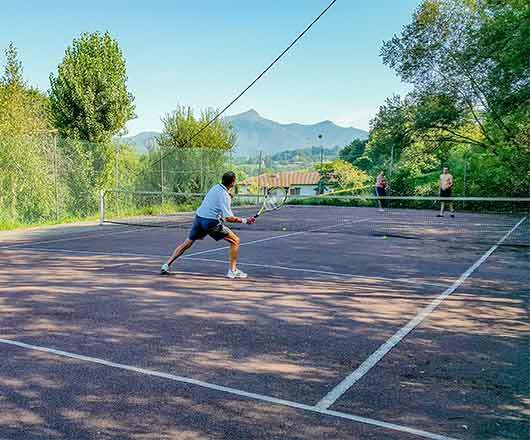 The tennis court often brings together all generations, with experts willing to share their experience with younger players, always in the family atmosphere of our Pays Basque campsite with pool. 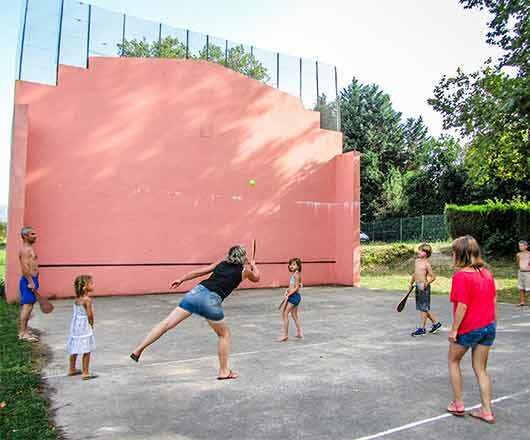 The ‘fronton’ (large wall) is there to introduce you to the ‘pala’ (wooden raquet) or the use of your bare hands, two ways of playing the Basque game of Pelota, which is well known both inland and on the coast. You’ll soon take to the game! 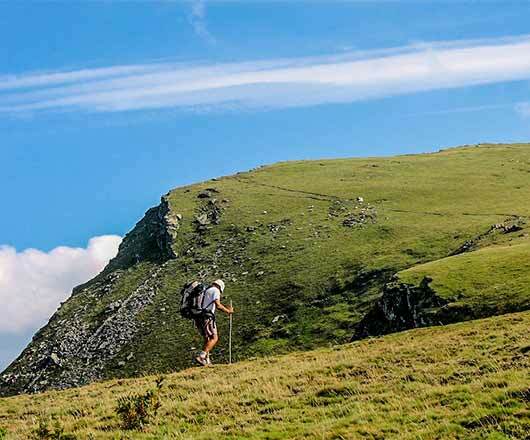 Set off on a hike from our Pays Basque Campsite Camping Suhiberry. Whether you want to head for the mountains or the sea, we can point out little-known paths.